The wait is finally over. 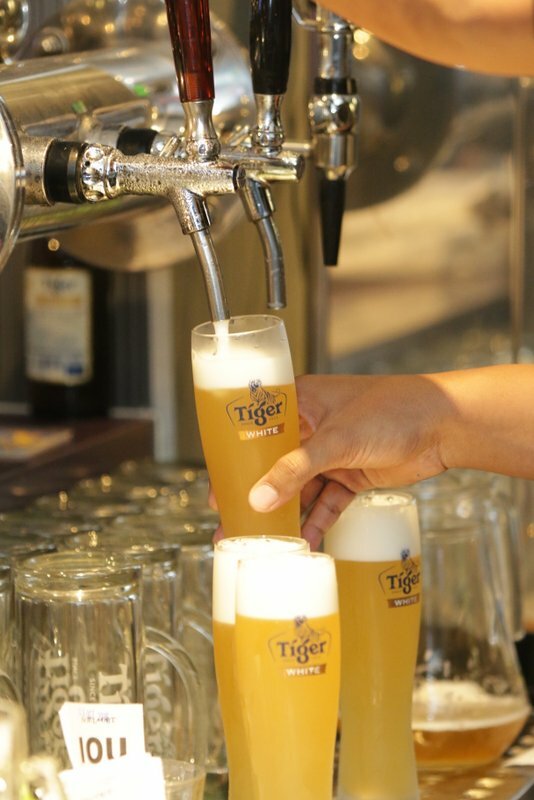 Tiger Beer’s smooth innovative wheat beer, is now on draught, one year after its debut here. Crafted with subtle spicy hints of clove, coriander, and orange peel, the brew is the first from Tiger Beer’s innovative lineup to be offered on tap. Tiger Beer marketing manager Jessie Chuah says, “With the launch of Tiger White, we demonstrated that we have the tenacity to expand our portfolio, and to make this premium wheat beer more accessible to all consumers.Launched last October, I’m proud to see that Tiger White has progressed along nicely and now is the right time to bring our fans Tiger White on draught. 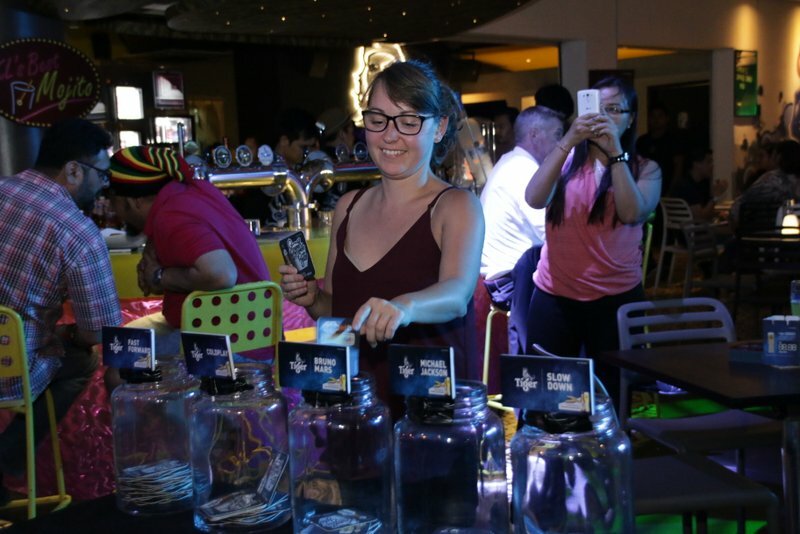 We hope the brew will continue to be their drink of choice,” she said at Souled Out, Desa Sri Hartamas, one of 18 outlets celebrating the new offering. 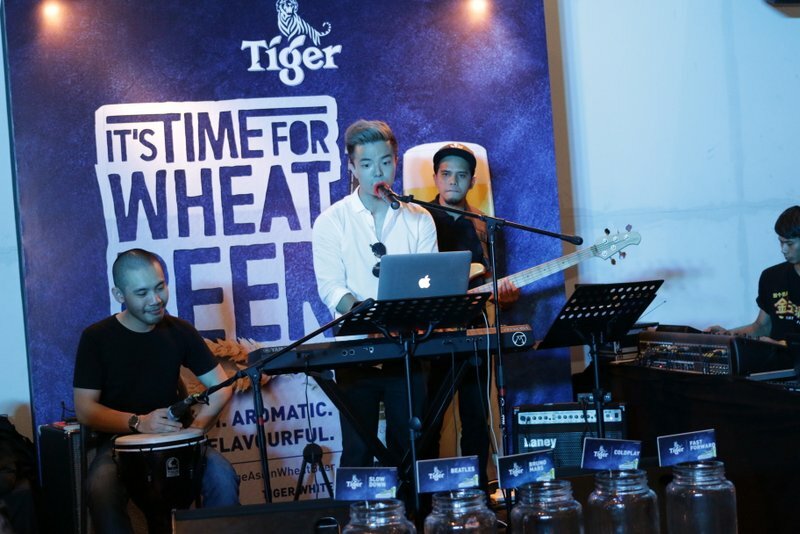 During the celebrations, guests who purchased Tiger White were given the opportunity to influence the genre and tempo of a three-piece human jukebox band. They were also treated to free food as the sales of the brew increased. Both these engagements were conducted in conjunction with the beer’s ‘It’s time for a change’ campaign tagline, which encouraged new fans to switch from their usual drink to the wheat beer instead. Brewed locally at Heineken Malaysia Berhad, the cloudy wheat variant with an ABV of 5% is currently distributed in bottles to bars and stores across the country. 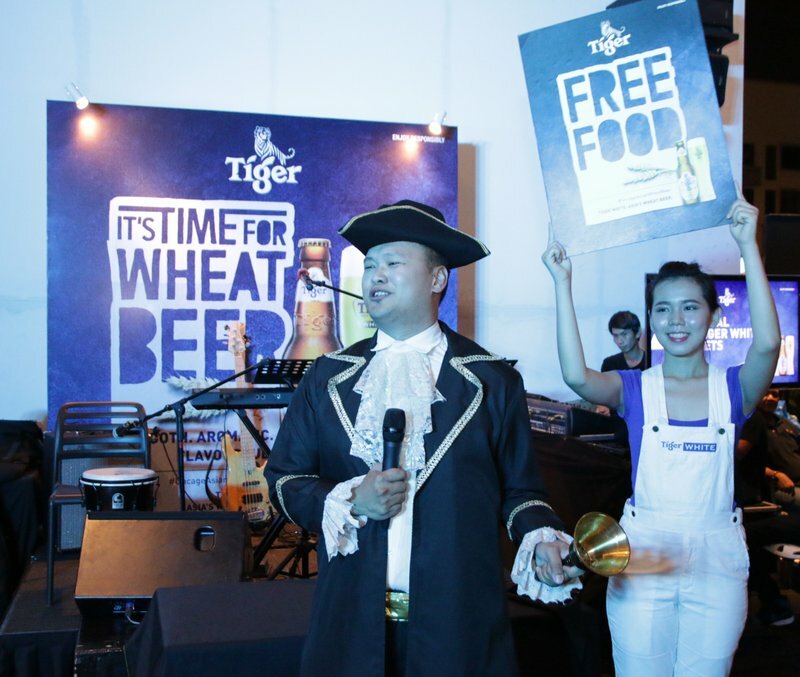 By the end of 2016, Tiger White – Asia’s Wheat Beerwill be available on draught in 100 bars throughout Malaysia offering the same smooth, aromatic and flavourful finish on draught. This entry was posted in News and tagged heneiken malaysia, tiger beer, tiger white by TheGoodGoodGuy. Bookmark the permalink.